*This dining experience took place in March 2018. There’s nothing I enjoy more than a good brunch or breakfast at Disney World. 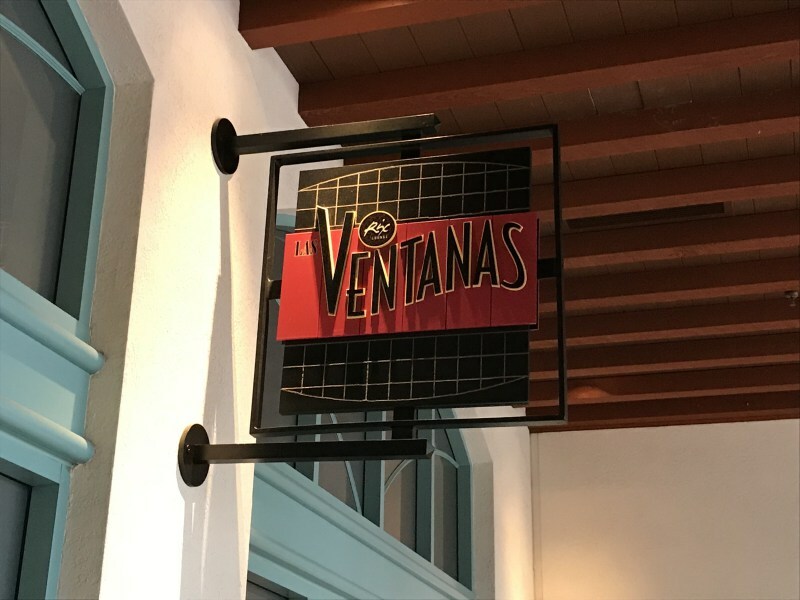 Recently, I stopped by Las Ventanas, a table service restaurant at Disney’s Coronado Springs Resort for a Sunday brunch that was quiet and relaxed. I hadn’t dined here for breakfast since 2014. So, it seemed like a good opportunity to check out the restaurant once again. Las Ventanas is located near Pepper Market, the quick service restaurant at Coronado Springs Resort, and the convention center. However, when I arrived, the doors to the restaurant were closed. When I looked inside, the restaurant was empty. After some investigation, I discovered that the restaurant was temporarily located in Maya Grill down the hall due to a kitchen refurbishment. I finally made my way over to Maya Grill. Having never dined here before, I was interested to see the restaurant interior. I wouldn’t say the restaurant was overly themed. But, it was bright and spacious with lots of tables.